A French tourist was fined €450 at the weekend after police found him splashing around in the historic Santa Maria fountain in Trastevere. 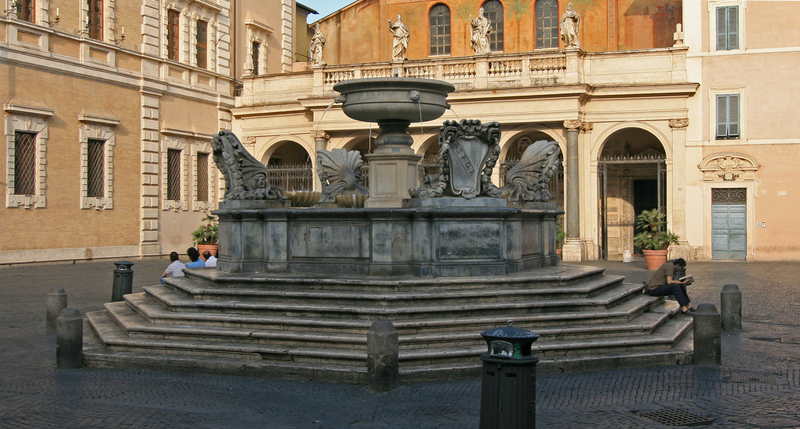 Rome police apprehended and fined the 35-year-old man when they found him swimming in the fountain, believed to be Rome’s oldest, in the early hours of Sunday morning. The arrest comes as the Italian capital cracks down on drunken behaviour in areas of Rome associated with nightlife. As part of the crackdown, alcohol restrictions are in place in these areas until April 26. Drinking outdoors after 9:00 pm is currently banned in the district of Trastevere, as well as in many other notorious nightlife spots including San Lorenzo, Esquilino, Piazza Bologna and the vicinity of Termini Station. Off-licences, supermarkets and vending machines in these areas are prohibited from selling alcohol after 9:00 pm, and bars can’t sell alcohol at all between 2:00 am and 7:00 am. Bans are also in place on pub crawls, dressing up as a centurion, and “slovenly eating”. Hundreds of new city police officers have been employed to enforce the rules since they came into effect last November.